Mica Clay Vessels ~ In 2003 Mary had the remarkable opportunity to study with Felipe Ortega, an Apache potter, who is renowned for his work with micaceous clay. 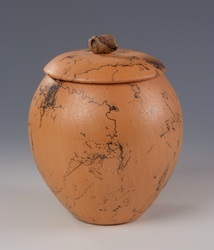 Following traditional techniques he taught, each piece is sanded and burnished to enhance the natural lustre of the clay and bring the sparkling mica particles to the surface. 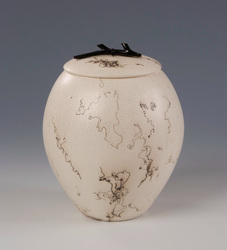 Horsehair is applied at the end of the firing process to produce the spider web surface design. 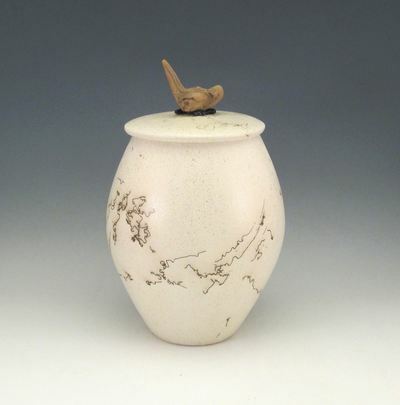 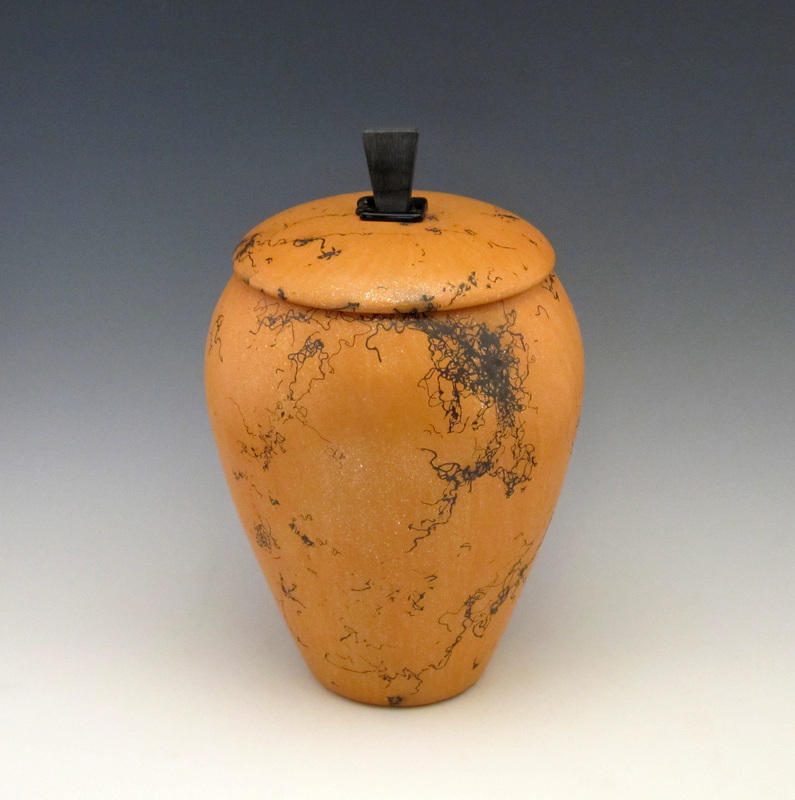 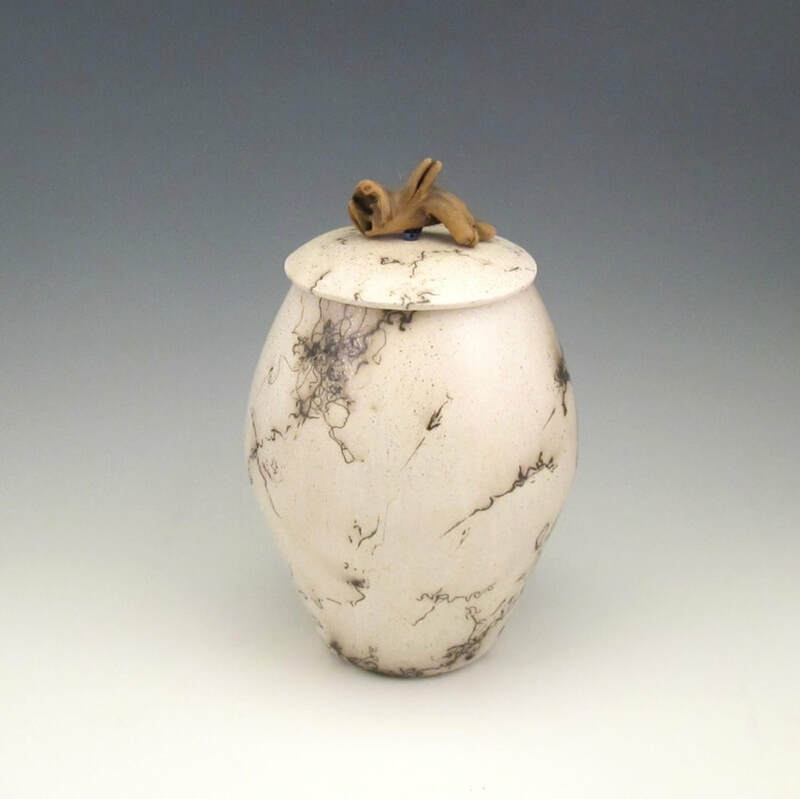 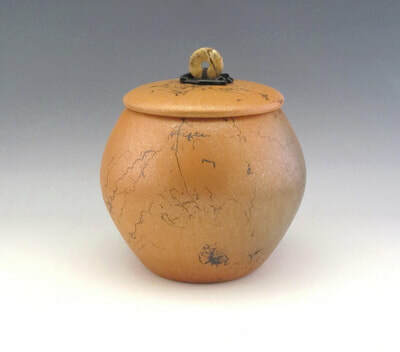 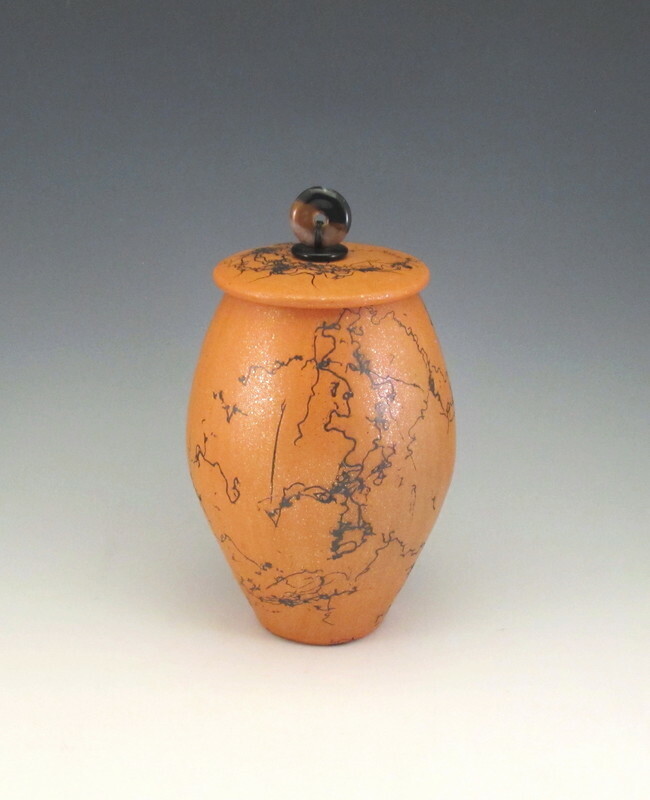 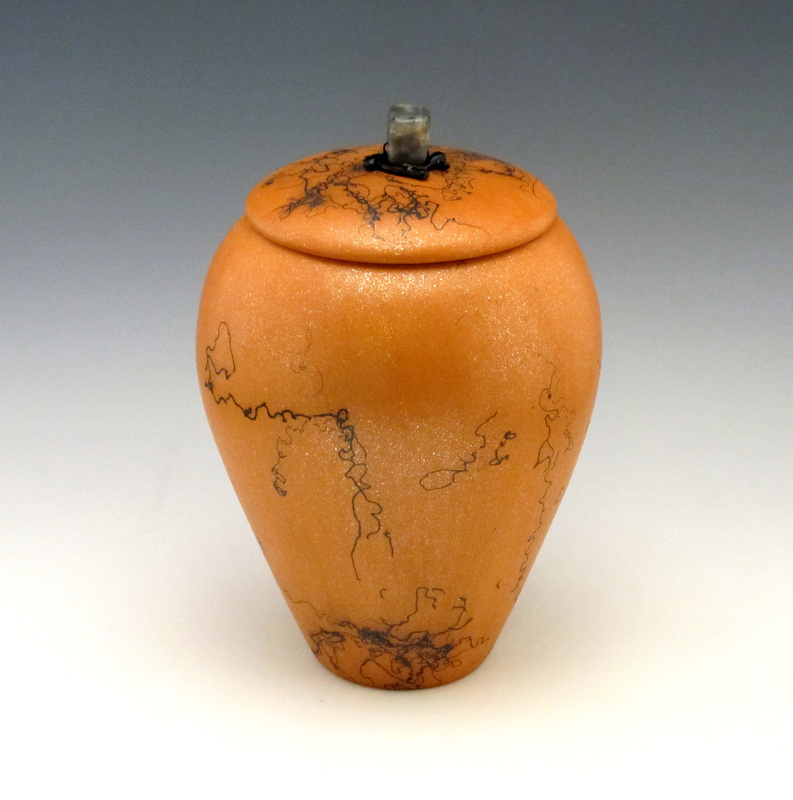 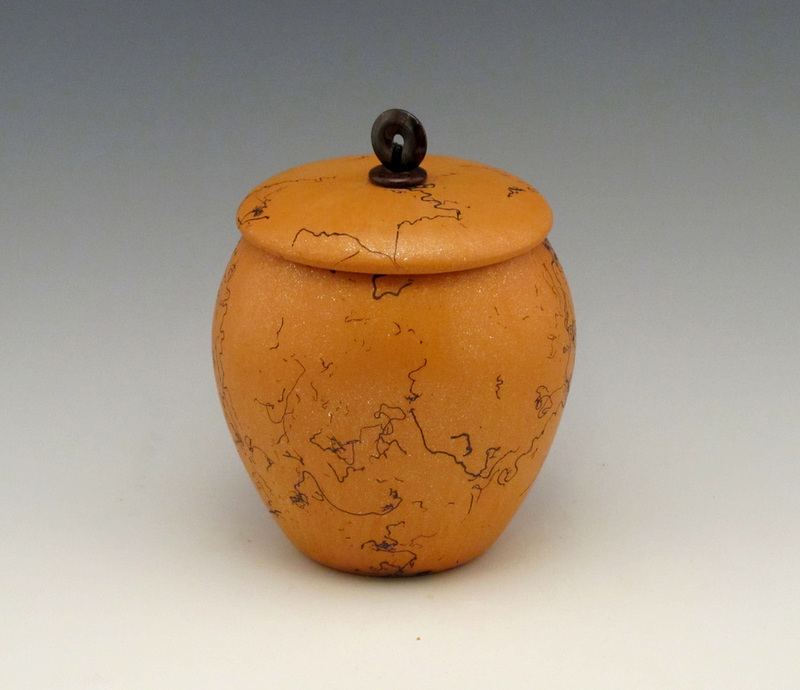 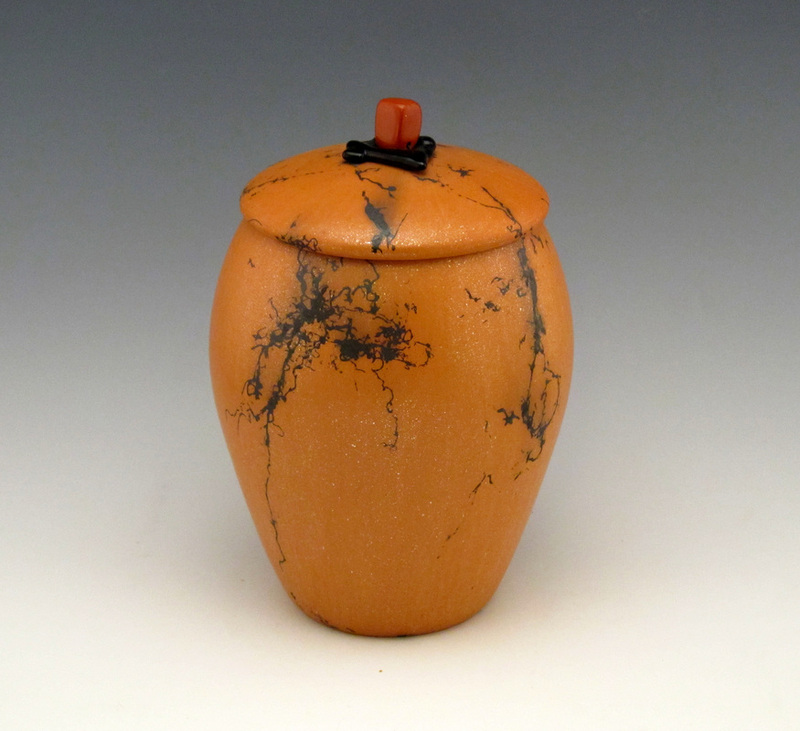 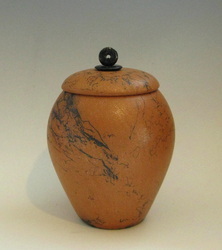 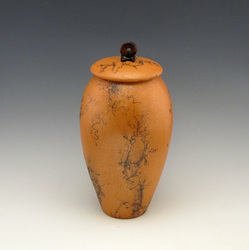 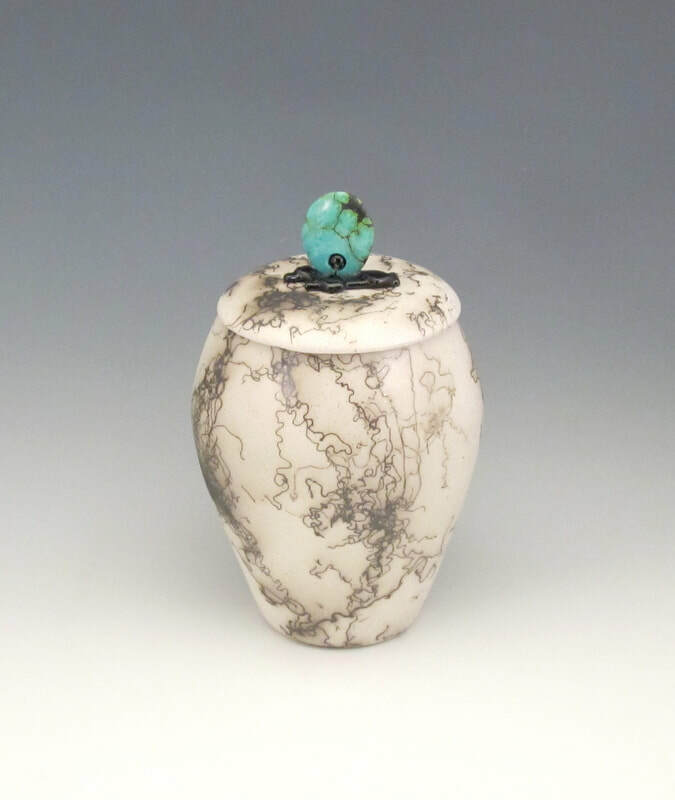 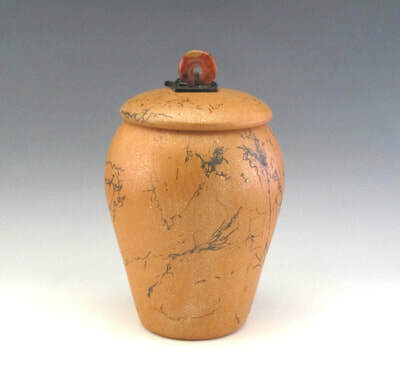 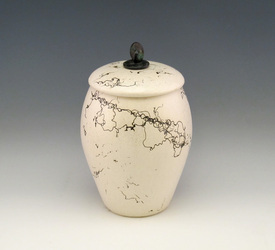 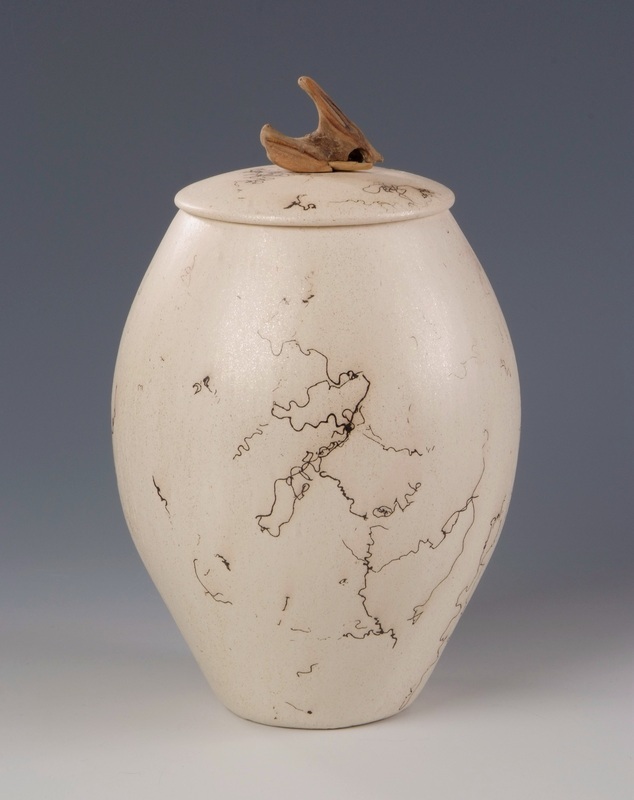 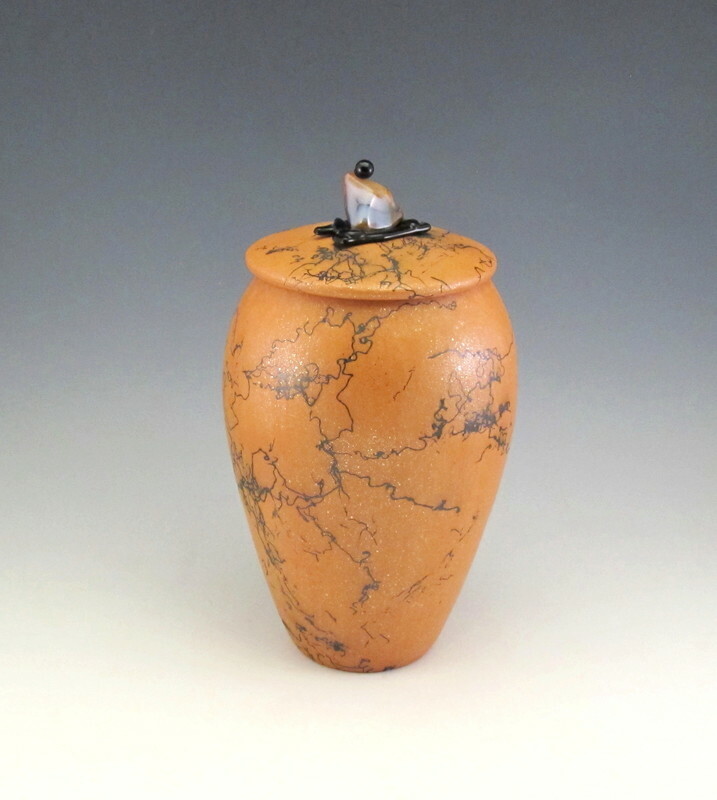 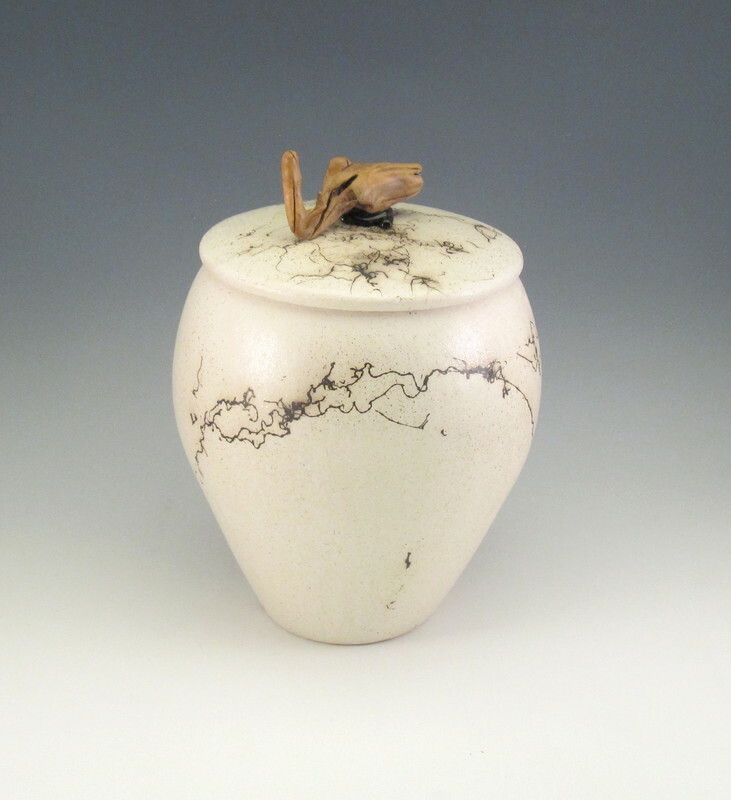 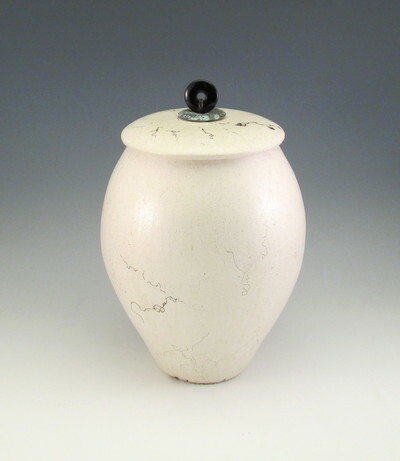 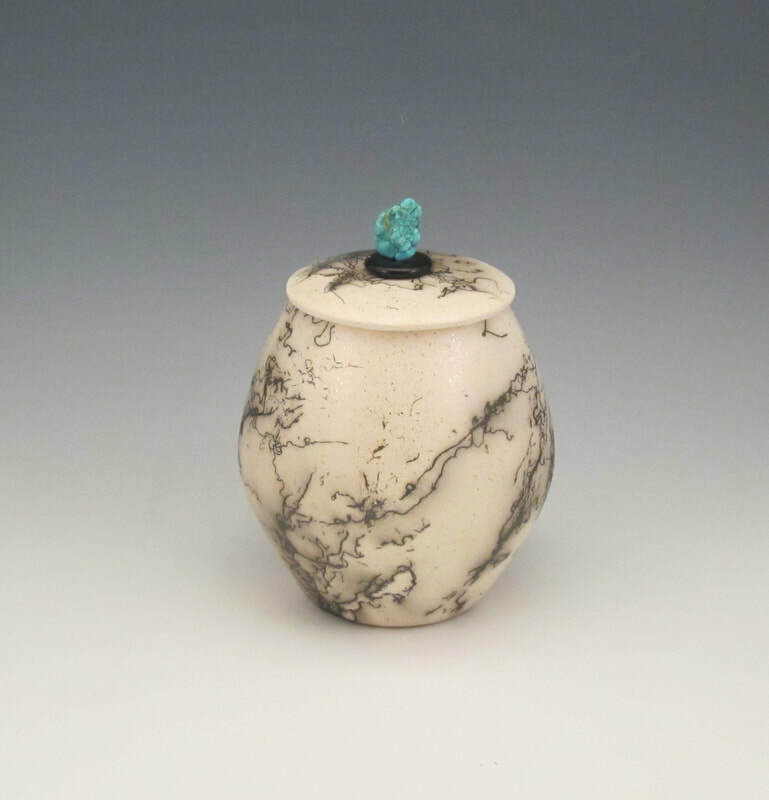 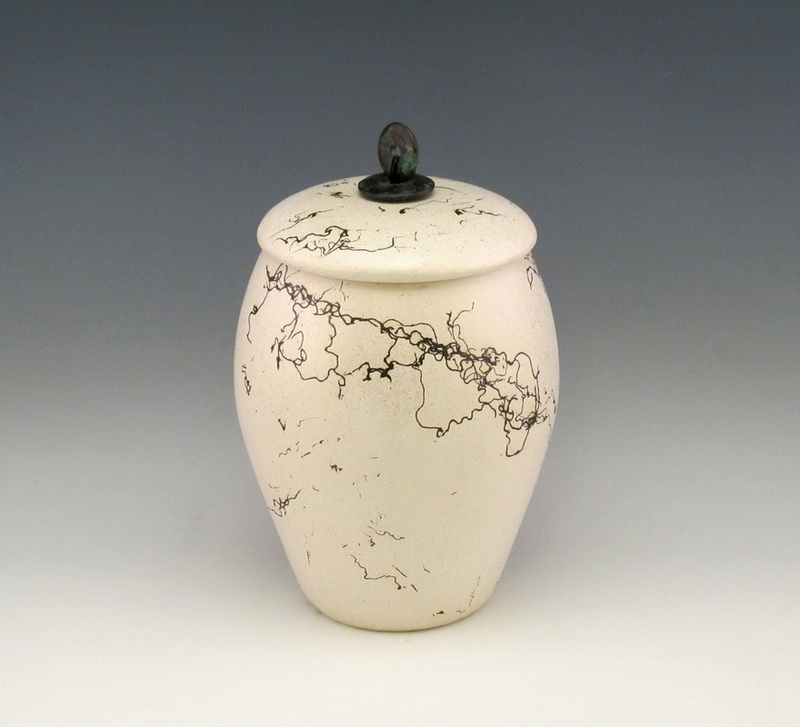 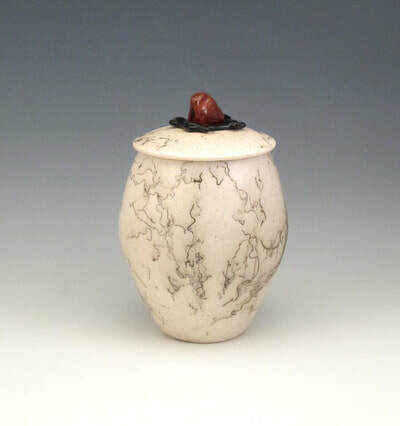 Besides adorning a home or office, a Mica Clay Vessel serves beautifully as a Memorial Urn for a departed beloved one. Contact Mary for addition views of any of these vessels.